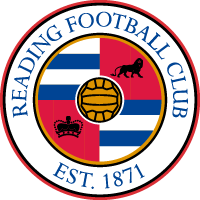 Reading Women came up against an Arsenal side on the back of a 5-0 drubbing over Champions Chelsea. That was just one reason why it was always going to be a tough test for the Royals at Meadow Park. It didn't take long for the home side to break the deadlock. Just 3 minutes in and Vivianne Miedema rose highest to head a cross from the right back across goal and into the far corner. Less than 5 minutes later and Arsenal doubled their advantage through Jordan Nobbs. The Arsenal skipper latched onto a loose ball inside the penalty box and slotted home across goal. After the constant home pressure early on, the Royals grew into the game and began to sniff out Arsenal's slick passing game with more authority. However, Beth Mead was impressing with some neat pieces of skill and managed to work some space on the byline to cross for Nobbs who somehow missed an open goal from yards out with a header that sailed over. Nonetheless, after a goal for the hosts was ruled out for offside, Gemma Davison threaded a ball through to Fara Williams, but she was denied by goalkeeper Pauline Payraud-Magnin. Kelly Chambers' side shipped a third goal before the break when Beth Mead curled an effort into the far corner. 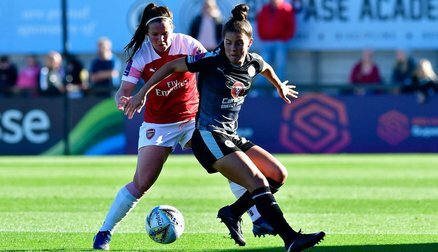 The Gunners added a fourth early in the second half when Miedema met Katie McCabe's perfect cross from the left and scored with a first-time finish which nestled in the bottom corner. Arsenal continued to threaten and almost went further ahead with a couple of chances in quick succession. 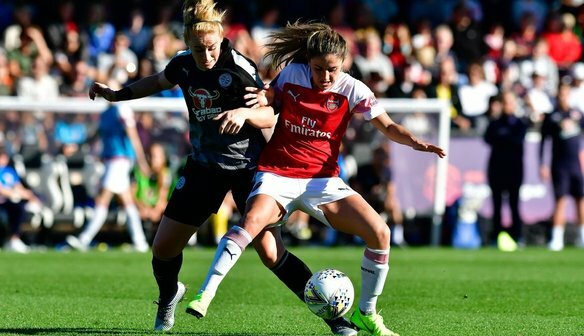 Arsenal broke quickly and Nobbs took the ball round goalkeeper Grace Moloney before teeing up Miedema in the centre. Somehow Reading managed to knock it behind after some heroic goal line clearances. From the resulting corner, McCabe tried a shot from distance which wasn't far away from finding the top left corner. Substitute Louise Quinn headed over for the hosts minutes before Danielle Van De Donk beat the offside trap to slide home Arsenal's fifth goal at the far post. There was still time for Miedema to complete her hat-trick as she kept her composure to finish past Moloney, having been played through by Van De Donk. Soon after, Moloney had to be alert to deny Miedema her fourth goal of the afternoon, tipping a neat improvised half-volley round the post.